A drum and gas cylinder truck is a transportation device that is based on the idea that gas and oil containers should be transported in heavy duty trolleys. 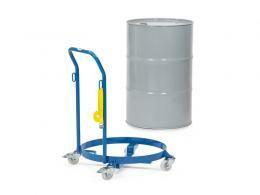 In all aspects of industry, these drums are present as a storage medium. Whether it's storing motor oil or simply some pre-mixed chemical compound, drums and gas cylinders need to be treated with the utmost respect. 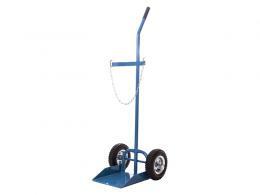 Whether you need a drum trolley, a drum lifter or a gas bottle trolley; in order to transport these cylinders a transportation truck is necessary because it ensures that they are transported with the least amount of risk towards causing the tanks to rupture. Gas cylinders and drums are usually used to store volatile compounds because they provide a relatively inert container. Then ensures that the chemical inside of the drum or cylinder isn't altered on a molecular level so that it can be used for its intended purpose. 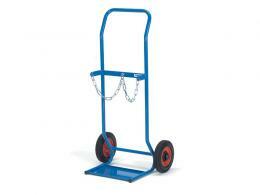 Drum lifters enable the movement of heavy duty storage drums easily onto transport trolleys without risking the safety or workers or the material within the drum. 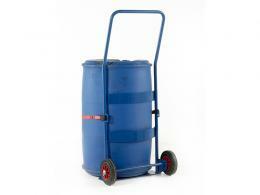 Gas cylinders and storage drums have been a party of industry since the industrial revolution. They represent the most efficient method of storage for quite a lot of raw materials or volatile gases. Because of the usefulness (and relative expense) of these gases, they should be preserved when purchased. 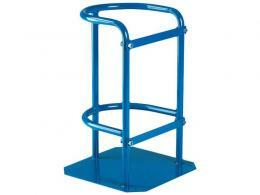 The Workplace Depot presents gas cylinder trolleys and drum trolleys that help to ensure that these containers retain their usability over time. 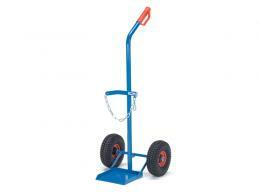 Contact us to find out more about our drum trucks, gas cylinder stands and trolleys today.